Mauricio Macri, the newly elected President of Argentina, will take the office on 10 December. This Liberal-Conservative politician, the leader of Republican Proposal (Spanish: Propuesta Republicana, PRO), a center-right political party, has won as a result of a fierce battle with Daniel Osvaldo Scioli, the candidate from the Front for Victory, the ruling left-wing Peronist electoral alliance. Neither candidate managed to win the vote outright, forcing a run-off – the first in the country's history. Macri won 51.4 per cent of the vote to 48.5 percent for ruling party rival Daniel Scioli. The gap is narrow, but Argentinian channels and radio stations were biased predicting the Macri’s victory from the very start of the race. Daniel Scioli admitted defeat to his opponent even before the final count of the votes. «I respect the popular will, which has chosen an alternative», he said. Sciolli congratulated Mauricio Macri and his team on the victory and wished them good luck. He did not sound dramatic. The Front for Victory ruled the country for 12 years. Under the direction of Nestor Kirchner (2003-2007) and then his wife Cristina Fernandez de Kirchner (2007-2015) Argentina went through the difficulties inherited after the years of bloody military dictatorship and neoliberal experiments. The «kircherists» can be rightfully proud of their social-economic achievements and the fundamental and consistent policy aimed at protection of national interests. The Mexican La Jornada editorial clearly explained what has recently happened in Argentina: «The yesterday’s defeat should not be perceived as the refusal of Argentinians to do justice to the achievements of 2003-2015. It’s rather the result of internal and external factors that exist in the national context of the situation in the Western Hemisphere. Tycoons persistently tried to destabilize the governments led by the Kirschners, they were constantly under media attacks. Foreign interference also took place. And not only that. The powers that ran out of steam [el desgaste], the reduced demand for mineral resources led to economic slump, there were cases of corruption in the government… Experts agree that the triumph of Macri, as he moves to Casa Rosada [the executive mansion and office of the President of Argentina – translator’s note], will bring the country back to neoliberal politics that resulted in devastation at the beginning of this century to spark a serious economic crisis undermining the government’s credibility and ability to govern». Macri said he won the presidential race because the people were tired of economic and financial problems, the growing crime rate and corruption. Mass media echoed this thesis highlighting the results of the presidential race. What about the «new deal» promised by Macri in his victory speech? He is seasoned enough not to make any bombastic statements. Macri only called on Argentinians to work together joining efforts to meet the interests of the country and ensure a bright future. «This is the beginning of a new era that has to carry us toward the opportunities we need to grow and progress», Macri noted. Somehow, he left behind the populist mimicry actively used during the final stage of the race. Macri promised equal access to health care, free medicine for low-income seniors, the eradication of poverty, the creation of another one and a half million jobs and homes for all the needy. In the victory speech Macri slightly mentioned the issue of overdue reforms, which would certainly spark social tensions, if implemented. The commercial and financial elite of Argentina, land owners, the military, a large part of middle class and the activists of non-government organizations expect Macri to do away with «populist structures». They want him to adopt more confrontational approaches and implement the policy of «open economy». Perhaps, the first thing he would do is the liberalization of currency market that would lead to devaluation of peso. Macri promised to build Argentina with zero poverty, intensify the fight against drug trafficking and boost international cooperation to have good relationships with all countries. «We want to work with everyone. We know that the Argentine people have much to bring to the world», he said. It can be said now that Macri will not be able «to work with everyone». Not once he made unfriendly remarks toward the Bolivarian government of Venezuela and President Nicolas Maduro during the presidential race. The Macri’s meetings with Venezuelan opposition are used by US propaganda for subversive activities against the «Maduro regime». Macri continues to sound hostile towards the Venezuelan government after the race is over. The newly elected president said he would propose that Mercosur, the trade bloc of South American nations, suspend Venezuela for its «undemocratic» actions against opposition politicians. What exactly does he mean? Some members of opposition took part in armed attacks. Over 40 people lost lives, as a result, including police. Obviously, the Macri’s statements are of provocative nature, because the Argentina’s neighbors, such as Brazil, Bolivia, Chile, as well as some other countries led by left wing democratic governments, will inevitably get involved in the conflict. As a result, the process of regional integration will be negatively affected at the time the region is going through hard times. The ongoing financial and economic crisis has affected everyone. Macri will raise the stakes launching neoliberal reforms and inserting changes into the foreign policy. The support of the United States administration is guaranteed. Macri has been loyal since 2007 when he met Mike Matera, a CIA agent. Back then he called on the US embassy to take a tougher stand against then President Nestor Kirchner and then Christina Kirchner. The new president of Argentina is a 100 percent pro-US politician. Some experts predict he won’t deteriorate the relations with Moscow and Beijing. These optimistic predictions should be taken with a grain of salt. Christina Fernandez and her government have done a lot to spur the progress in the Russia-Argentina relations and cement the bilateral strategic partnership as was agreed by the presidents of Russia and Argentina in April 2015. It’s all in the past now. The situation has changed: Argentina, like other states led by left wing governments, is facing economic hardships. Its geopolitical position is negatively affected. 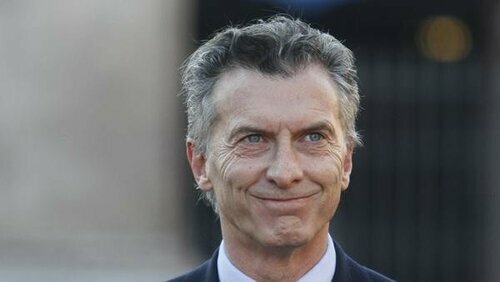 For Macri, the cooperation with the United States is a natural thing to do. Some political scholars believe that the Macri’s win in Argentina ends the era of Christina Fernandez. On December 10, she’ll move out of the presidential palace. But it’s hard to imagine she’ll keep out of politics to become a passive bystander, especially now as the Sciolli suffered a defeat and the Front for Victory is in opposition. Starting from December 10 President Macri will have to establish working relations with the opposition in the National Congress, where the Front for Victory and its allies dominate in the Chamber of Deputies, the lower house of the Argentine National Congress, and the Senate, the upper chamber of parliament. It’s hard to believe that Christina Fernandez and her supporters will let Macri destroy everything that has been created during so many years. A great effort was applied to ensure social stability, national progress and the well-being of the people. They won’t let it go down the drain. Any attempts «to cut» social benefits and state expenditure will spark mass protests. The supporters of «Kircnerism» believe that shifting the foreign policy priorities is fraught with the loss of independence and national sovereignty. As Macri takes office, the Pacific Alliance and other geopolitical projects initiated and controlled by the United States will be given priority over other Latina American integration projects. Not «kircherists» only, but all those who support national interests, will fiercely oppose it.